From 1973 to 1998, the Society publishend its own micropalaeontographical series: A Stereo-Atlas of Ostracod Shells, (first produced in 1973, edited by Professor Peter Sylvester-Bradley and Dr David Siveter of Leicester University), it also produces an occasional series of field guides. The BMS produced a circular until 1976, when the Newsletter was inaugurated, as The British Micropalaeontologist, first edited by P.J. Bigg. The newsletter was renamed Newsletter of Micropalaeontology in 1995. The first BMS publication (apart from the A Stereo-Atlas of Ostracod Shells) was A Stratigraphical Index of British Ostracoda (edited by Ray Bate and Eric Robinson) which appeared in 1978 and was published as a Special Issue of Geological Journal. Subsequent volumes have been published as a Special Publications Series, commencing with the Stratigraphical Atlas of Fossil Foraminifera (edited by Graham Jenkins and John Murray) in 1980. These are available to TMS members at discounted rates. The year 1982 is a milestone in Society history as this saw the initiation of the society’s own journal, the Journal of Micropalaeontology, (first edited by Lesley Sheppard). The Journal was initially produced once a year, but since 1984 has become a twice yearly publication of growing international repute. The editor and the editorial board will consider for publication original papers and review articles dealing with all aspects of Micropalaeontology. Online Recruitment Avertisement £50 (accessible here) – recruitment advertisements appearing in the newsletter will also appear on the website at no extra cost. For further details, please contact the Treasurer. 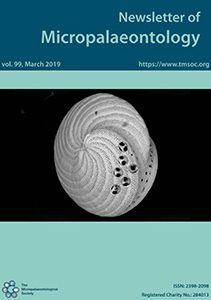 The Journal of Micropalaeontology (https://journal-of-micropalaeontology.net/index.html) is an established international journal publishing primary research since 1982, and is wholly owned by The Micropalaeontological Society. 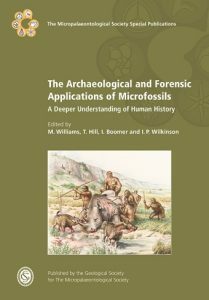 The journal covers all aspects of microfossils and their application to both applied studies and basic research. In particular we welcome submissions relating to microfossils and their application to palaeoceanography, palaeoclimatology, palaeobiology, evolution, taxonomy, environmental change and molecular phylogeny. The scope of the journal is broad, demonstrating the application of microfossils to solving broad geoscience issues. 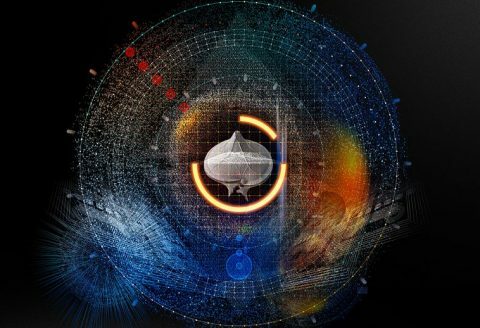 The Journal of Micropalaeontology is fully open access, and is currently published by Copernicus Publication (https://publications.copernicus.org/). 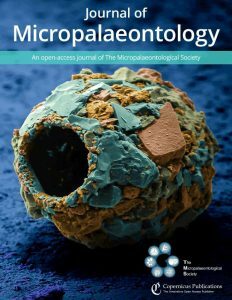 Access to the Journal of Micropalaeontology is available for free online (https://www.journal-of-micropalaeontology.net/) and via print subscription (https://www.journal-of-micropalaeontology.net/about/print_subscription.html) for which TMS members receive a 50% discount. The cost of print varies from year to year and is dependent on the number of pages published. To submit your manuscript (https://www.journal-of-micropalaeontology.net/for_authors/submit_your_manuscript.html), read the general terms (https://www.journal-of-micropalaeontology.net/about/general_terms.html) and article processing charges (https://www.journal-of-micropalaeontology.net/for_authors/article_processing_charges.html) which are reduced for TMS members, and follow the manuscript preparation guidelines (https://www.journal-of-micropalaeontology.net/for_authors/manuscript_preparation.html). Authors requiring support of funds may contact the Copernicus Publications Editorial Support (editorial@copernicus.org) to apply for a partial or full waiver from funds provided by The Micropalaeontological Society and Copernicus Publications. Proposals for upcoming special publications and information from the Editors. download an order form from the Geological Society Online Bookshop, fill it in and email it to sales@geolsoc.org.uk. Please see the Bookshop FAQs for further details and a link to the order form. Geological Society Bookshop sale events occur several times a year, and sale prices are available to anyone (there are no further discounts for society membership). To receive email notifications about forthcoming sales please sign up for Bookshop emails at http://www.geolsoc.org.uk/bookshop, by clicking on the yellow ‘Subscribe to the Bookshop Newsletter’ box on the right-hand side of the screen. You will also receive notices of new books published (including any TMS books) and any special promotions. Edited by A.J. Bowden, F.J. Gregory and A.S. Henderson; 360 pages. This is the sixth special publication in the TMS series published by the Geological Society Publishing House, 19th December, 2013. More information is available from the Geological Society bookshop. Selected developments in Foraminiferal studies from a global perspective are presented from the time of Alcide d’Orbigny and the founding of the Paris MNHN collections in the mid-nineteenth century to the use of foraminifera in industry, other museum collections, palaeoceanography and environmental studies, regional studies from the Southern Hemisphere and the rise and fall of significant research schools. The book concludes with a chapter on the modelling of foraminifera. Landmarks in Foraminiferal Micropalaeontology: History and Development will be of particular interest to micropalaeontologists, other Earth scientists, historians of science, museum curators and the general reader with an interest in science..
Edited by F. Marret, J.M. Lewis & L.R. Bradley; 373 pages. This is the fifth special publication in the TMS series published by the Geological Society Publishing House, 4th December, 2013. Edited by J. E. Whittaker and M. B. Hart; 295 pages. This is the fourth special publication in the TMS series published by the Geological Society Publishing House, 17th September, 2010. Dennis Curry was a remarkable polymath and philanthropist, leading a double-life as one of the UK’s most gifted amateur geologists, whilst at the same time being an extremely successful businessman (as Managing Director of Currys Ltd). This Festschrift, authored by friends and specialists from Britain and France, pays tribute to his often seminal research as well as exhibiting the wide range of his geological interest. It contains 12 chapters and covers several differing aspects of micropalaeontology (pteropods, diatoms and especially foraminifera), Strontium Isotope Stratigraphy, Hampshire Basin stratigraphy and palaeogeography, as well as major contributions on English Channel sedimentology and the great faunal turnover affecting mammals at the Eocene-Oligocene boundary. A scientific appreciation of Dennis Curry, “the professional amateur”, with recollections of former colleagues at University College, London (where he was Visiting Professor), together with an assessment of the valuable collections he established and donated to The Natural History Museum, are also included. Copiously illustrated, this book is a must for all geologists. Edited by J. E. Whittaker and M. B. Hart; 496 pages. This is the third special publication in the TMS series published by the Geological Society Publishing House, 9th June, 2009. Edited by M Williams, A M Haywood, J Gregory & D N Schmidt; 600 pages. This is the second special publication in the new TMS series published by the Geological Society Publishing House, 5th December, 2007. This book unites climate modelling, palaeoceanography and palaeontology to address fundamental events in the climate history of Earth over the past 600 million years. Understanding the ‘tipping points’ that have lead to rapid changes in the Earth’s climate is vitally important with the realization that humans modify global climate. In an effort to better understand past and future climate change, general circulation models have become the forerunners of attempts to simulate future climate. Although extraordinarily sophisticated, they remain imperfect tools that require ‘grounding’ in geological data. In this, the study of past major climate transitions like the Palaeozoic icehouse worlds and the extreme greenhouse of the Cretaceous are invaluable. Both the mechanisms that forced changes in the Earth’s climate as well as the proxies that track these changes are discussed. The central message of the book is that general circulation models tested with geological data in an iterative ‘ground truth’ process provide the best estimates of the Earth’s ancient climate. Edited by A. J. Powell & J. B. Riding. 256 Pages. This is the first special publication in the new TMS series published by the Geological Society Publishing House, 25 November, 2005. The application of biostratigraphy to hydrocarbon exploration and development has become increasingly important both scientifically and economically. The demand for higher stratigraphical resolution in field development studies has resulted in the utilization of new approaches. The aim of this volume is to encourage an exchange of ideas and to seed new research initiatives particularly within integrated multidisciplinary teams. The papers are divided into four main themes which cover a broad range of modern applications of biostratigraphy. The first three themes are: UK North Sea field development; outcrop analogues; and international exploration and development. The final section discusses new methodologies, such as the application of correspondence analysis and multivariate correlation of wells, and palynological processing techniques applicable to the wellsite. The first Special Publication of TMS (then the BMS) was A Stratigraphical Index of British Ostracoda (edited by Ray Bate and Eric Robinson), which appeared in 1978 and was published as a Special Issue of Geological Journal. Subsequent volumes have been published as a series, commencing with the Stratigraphical Atlas of Fossil Foraminifera (edited by Graham Jenkins and John Murray) in 1980. Ten further Special Publications were published for the BMS by Ellis Horwood Ltd., and from 1990 to 2001 seven were published by Chapman and Hall/Kluwer. During this time, stratigraphical indices or atlases have been produced for ostracods, foraminifera (2 editions), nannofossils, conodonts and dinoflagellate cysts, as well as several thematic volumes. Our Special Publications are now being handled by the Geological Society Publishing House, the first of which was published as TMS001 in November 2005. A Stratigraphical Index of British OstracodaH Bate and E. Robinson (editors), 1978, Seel House Press, Liverpool. 538 pp. ISBN 0-902354-08-6. Stratigraphical Atlas of Fossil Foraminifera G. Jenkins and J.W. Murray (editors), 1981, Ellis Horwood Ltd, Chichester. 310 pp. ISBN 0-470-27191-4. Microfossils from Recent and Fossil Shelf SeasW. Neale and M.D. Brasier (editors), 1981, Ellis Horwood Ltd, Chichester. 380 pp. ISBN 0-85312-338-1. Fossil and Recent Ostracods H. Bate, E. Robinson and L. Sheppard (editors), 1982, Ellis Horwood Ltd, Chichester. 494 pp. ISBN 0-85312-324-1. A Stratigraphical Index of Calcareous NannofossilsR. Lord (editor), 1982, Ellis Horwood Ltd, Chichester. 192 pp. ISBN 0-85312-326-8. A Stratigraphical Index of Conodonts C. Higgins and R.L. Austin (editors), 1985, Ellis Horwood Ltd, Chichester. 264 pp. ISBN 0-85312-641-0. Palaeobiology of ConodontsJ. Aldridge (editor), 1987, Ellis Horwood Ltd, Chichester. 180 pp. ISBN 0-85312-906-1. Conodonts: Investigative Techniques and ApplicationsL. Austin (editor), 1987, Ellis Horwood Ltd, Chichester. 422 pp. ISBN 0-85312-907-X. Micropalaeontology of Carbonate EnvironmentsB. Hart (editor), 1987, Ellis Horwood Ltd, Chichester. 296 pp. ISBN 0-13-584137-2. Stratigraphical Atlas of Fossil Foraminifera (Second Edition)G. Jenkins and J.W. Murray (editors), 1989, Ellis Horwood Ltd, Chichester. 593 pp. ISBN 0-13-852187-5. Nannofossils and their ApplicationsA. Crux and S.E. van Heck (editors), 1989, Ellis Horwood Ltd, Chichester. 356 pp. ISBN 0-13-609215-2. Northwest European Micropalaeontology and PalynologyJ. Batten and M.C. Keen (editors), 1989, Ellis Horwood Ltd, Chichester. 356 pp. ISBN 0-13-626821-8. Ostracoda and Global Events Whatley and C. Maybury (editors), 1990, Chapman and Hall, London. 644 pp. ISBN 0-412-36300-3. A Stratigraphic Index of Dinoflagellate Cysts J. Powell (editor), 1991, Chapman and Hall, London. 290 pp. ISBN 0-412-36280-5. Micropalaeontology and Hydrocarbon Exploration in the Middle EastD. Simmons (editor), 1994, Chapman and Hall, London. 440 pp. ISBN 0-412-42770-2. A Biostratigraphical Atlas of British Ostracods Athersuch, M.C. Keen and I. Wilkinson (editors), 1994, Chapman and Hall, London. 350 pp. ISBN 0-412-45080-2. Early Evolutionary History of Planktonic ForaminiferaK. BouDagher-Fadel, F.T. Banner, J.E. Whittaker and M.D. Simmons (editors), 1997, Chapman and Hall, London. 269 pp. ISBN 0-412-75820-2. Calcareous Nannofossil BiostratigraphyR. Bown (editor), 1998, Kluwer Academic Publishers, Dordrecht. 328 pp. ISBN 0-412-78970-1. Note: These field guides were produced for the pre-and post-Symposium field excursions but are all now out of print. They can now be accessed digitally via the Biodiversity Heritage Library (https://www.biodiversitylibrary.org). Mesozoic and Cenozoic Stratigraphical Micropalaeontology of the Dorset Coast and Isle of Wight, Southern England. – A.R. Lord and P.R. Bown (Editors) (produced for the European Microplaeontological Colloquium of 1987). The Lower Palaeozoic of the Northern Welsh Borderland and South Wales. D.J. Siveter, 1988. 47 pp. The Jurassic and Cretaceous of Eastern England. R.H. Bate and I.P. Wilkinson, 1988. 71 pp. Cretaceous Ostracoda of the WealdJ. Horne, 1988. 42 pp. An Introductory Guide to the Neogene and Quaternary of East Anglia for Ostracod workers. A.R. Lord, D.J. Horne and J.E. Robinson, 1988. 11 pp. The Mesozoic and Tertiary of Southern England: the Dorset Coast and Isle of Wight. M.C. Keen, A.R. Lord, R.C. Whatley, 1988. 79 pp. Recent Freshwater Ostracoda of the Lake District. D.J. Horne, 1988. 28 pp. Recent and Quaternary Ostracoda of the Firth of Clyde, S.W. Scotland.E. Whittaker, 1988. 50 pp. Davids and Recent Marine and Estuarine Ostracoda of the Cardiganshire and Pembrokeshire Coasts. R.C. Whatley and C.A. Maybury, 1988. 8 pp. In the footsteps of T.R. Jones: Lower Palaeozoic of Shropshire and the Post-Palaeozoic of Avon, Dorset and Kent.J. Siveter & A.R. Lord (Editors). Field Guide for the Thirteenth International Symposium on Ostracoda, Chatham 1997, reprinted 2004. 64pp. The newsletter is published twice annually, in January and August. Please contact the editor if you have items you would like published in the Newsletter. Since January 2010 (No. 81) the newsletter includes news and material from all organisations taking part in the TMS affiliation scheme in addition to that from both the TMS groups and the society itself. For information on joining the TMS affiliation scheme, please contact the secretary. The views expressed by the authors of any article in Newsletter of Micropalaeontology are their own and do not necessarily represent those of The Micropalaeontological Society. The current affiliated organisations are: The Grzybowski Foundation, Collegium Palynologicum Scandinavicum, The International Nannoplankton Association (INA), and the International Research Group on Ostracoda (IRGO). Dr I. Boomer, Prof. A.R. Lord, Dr D.J. Horne & Prof. D.J. Siveter. A Stereo-Atlas of Ostracod Shells was published between 1973 and 1998, 25 volumes in all. The Society does not retain any back issues. A cumulative index for volumes 1-25 has been produced and was circulated with volume 25.